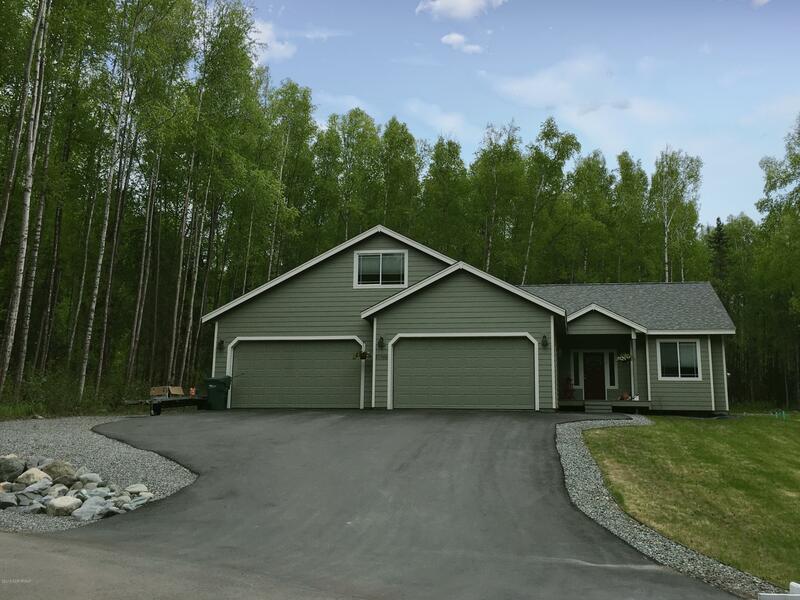 Custom ranch home on acre plus, cul-de-sac location. Soaring ceilings in great room, 9ft ceilings through rest of lower level, gorgeous flooring throughout, granite countertops, arctic entry, laundry room, walk in pantry. Master suite w/ tray ceilings and walk in closet, master bath with soaker tub. MIL suite w/ separate access. 1200 sf garage/shop, huge paved driveway/parking, no HOA. The mother in law access is separate from the home and features a kitchenette - can be used as MIL or studio apartment, complete with its own laundry room. Massive 4-car garage is 1,200 SF with utility sink, two man doors and extra tall ceilings for even more storage and large vehicle access. Big cleared area behind house can be used for shed, shop, ice rink, fire pit. Driveway professionally sealed in 2018, room for everything. Huge paved parking area.